Thinkstock is a stock photo agency property of Getty Images, which launched in 2010 to offer more affordable stock photo subscriptions online. Given iStock is also under the Getty umbrella and also offers subscriptions since a while, the parent company announced this year that they will be closing the service in mid-2019, and since April 2018 they no longer sell any images. But don't worry, if you like Thinkstock's offer in prices and image quality, we have great alternatives for you. 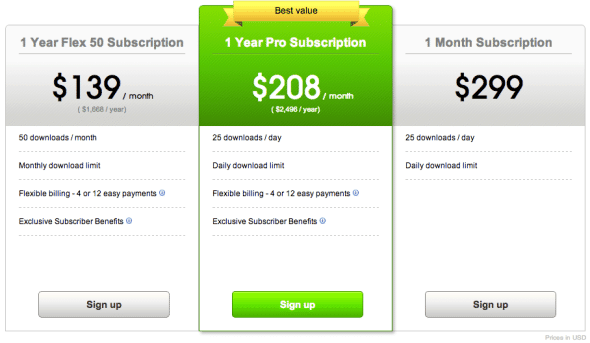 Our StockPhotoSecrets Shop has a great monthly and annual plans offer with even better prices. And iStock also provides very similar images in their budget collection, with the plus of being owned by the same company. Either way, you'll find a great alternative to Thinkstock to buy your stock photos. UPDATE April 2018: Thinkstock has recently announced it will be closing its doors in mid-2019, and the closing process is already started, as their annual subscriptions are no longer available. 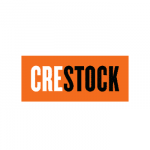 You will find awesome Thinkstock alternatives here! Over 13 international sites including Europe, North America, Asia and Australia with corresponding languages. Search options are extensive. Included are image technique, collections, composition, subject and concept. 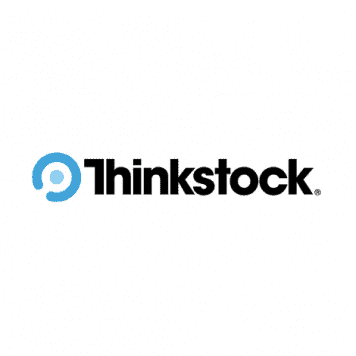 Thinkstock corporate headquarters is located in New York, USA with international contact numbers of global websites. All image sizes are included in the Image Pack option with a standard Thinkstock license. 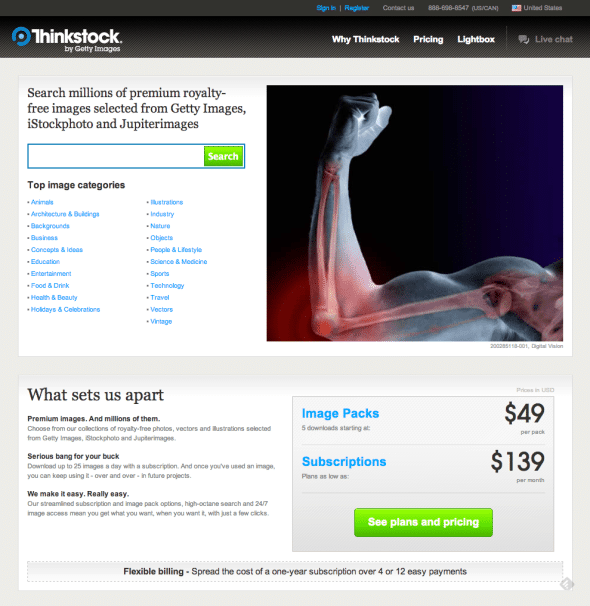 All image sizes are included in the 2 subscription options with a standard Thinkstock license. You can easily search images by keyword, collections, image type, orientation, people, content, style and collections. If you need to narrow your search further, Thinkstock enables searches within searches, a very cool feature. When you buy your image the standard license (similar to a royalty free license) is automatic. Any extended licensing options requires a phone call to Thinkstock. Pricing for extended licenses was not available online. 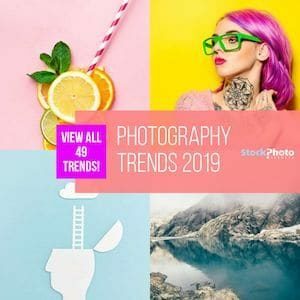 Unlike other stock photo agencies that have exclusive collections by subject, Thinkstock has arranged their special collections by Photographer. This enables a buyer to search within a photographers collection of images using the search criteria. Thinkstock has one mission, to provide the freedom focus on being creative. The subscription options, one image size download option, invoicing procedure and search options are easy to use, understand and realize. Creativity is first for Thinkstock, a collection of images from some of the best stock agencies. Their model was generated to save money for buyers, deliver a fast and effective way to get images and utilize the expertise of the parent company Getty Images. They seem to have succeeded. 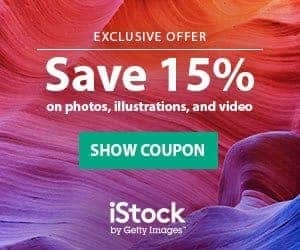 Thinkstock is the only subscription that combines millions of photos, vector art and illustrations selected from Getty Images, iStockphoto, Jupiterimages and worldwide image partners. 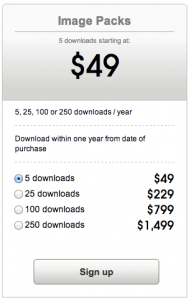 Owned by Getty Images, Thinkstock is a less expensive option to Getty Images but is not the cheapest stock photo agency. We love that their images are large, beautiful and unique, but they can be costly. 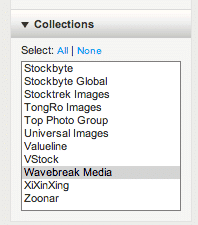 Thinkstock is relying on their greatest assets to sell images to creative professionals. They selling features include legal protection for copyright issues, affordable and flexible payment options, broad global licensing and image diversity. All of these points are true and the annual subscription makes Thinkstock one of the cheapest stock photo agencies, but for the independent creative that does not require 750 images per month, the price is a bit steep.